This is blog for Primhose Hill Press, an online retailer and publisher of fine press books as well as books that inspire and teach. They also sell original, wood engravings as prints. Be sure to visit www.primrosehillpress.com! Who would have imagined that translating a legal text from Russian to English could be so exhilarating--almost as exciting as a good cold war spy thriller! I have taken the view for some time now that to translate effectively from Russian to English, a translator must approach the text with the precision of a code breaker. In fact, some legal texts are so complex and intricate that the only way to complete a 900 page translation of a legal treatise with any confidence at all is to apply very precise rules of translation, so precise in fact that another translator trained in the same lexicon and method can translate the English text back to Russian almost word for word. Welcome to the world of the masters of legal translation. But legal translation in the context of Russian law is an inherently shifting comparative law exercise; it is organic. Any "code" (lexicon) to be applied to translating Russian legal texts must be based on an intimate understanding of Russian law on both an historical and comparative level to enable the translator to communicate the essential meaning and nuances of Russian legal terminology. Good translators must be able to adjust that "code" as Russian legal language continues its evolution. As William E. Butler reflects in a chapter dedicated to legal translation in Russian Law and Legal Institutions (London, Wildy, Simmonds & Hill, Publishers, 2014): "Possibly we are witnessing the third major revolution in Russian terminology: the first introduced by Peter the Great accompanied by the importation of European legal terminology; the second by the Great October Revolution of 1917 and the deliberate systemic sovietization of legal terminology; and third the absorption or invention of new terms and concepts associated with ... the market economy." 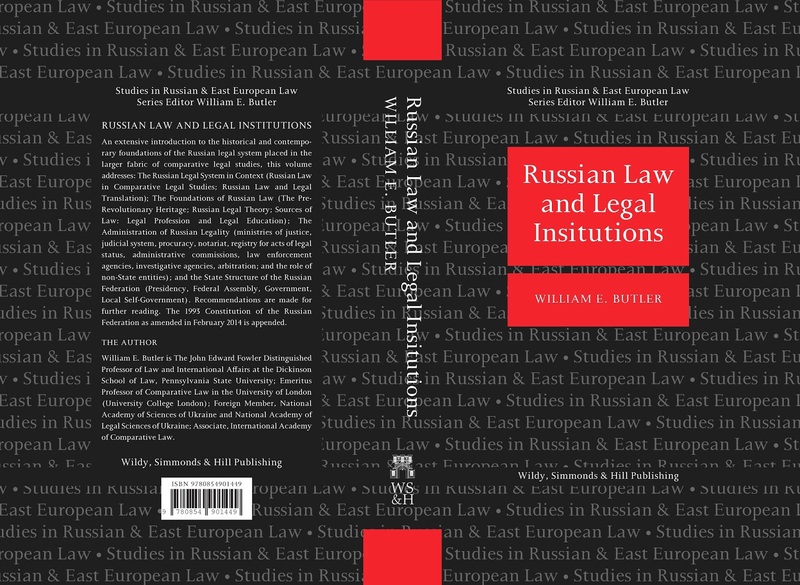 But as Butler makes clear, Russian lawyers and legislators have not simply invented or imported concepts and terminology, but rather those concepts and terminology have a life of their own and are constantly evolving in the cauldron of legal relationships domestically and globally. Please visit our website at www.primrosehillpress.com for more information on resources for legal translations, laws of the CIS States, comparative law, international law and Russian law books and translations of Russian laws and the laws of other CIS States. Copyright 2014. Promrose Hillpress, Inc. All Rights Reserved.